Angela Bognar is more than an artist. She is a teacher who has devoted herself to understanding how children learn and is fascinated by the way a child develops his/her vision for art. She sees how they begin with experimenting with color, and move on to portray the world they see. Her passion for children makes her effective in encouraging and bringing out the best in her students. Angela Bognar has been teaching for 12 years. She is also a dedicated learner and she continues to update herself with recent developments in art and child education. In times of uncertainty, human nature drives us to stay within comfort zones and with what is familiar. “Waste” is not an option, risks are not in our vocabulary and leaps of faith are considered “risky behavior”. Economists will tell you that during these times of financial crisis most people will cut back on spending and play it safe. But what about the popular Chinese saying that teaches us “in every crisis, there is opportunity” or what would you do if you “heard” a voice telling you to take that leap of faith? While “vacationing” in Holland, I made it a habit to go on 10-kilometer walks because it was the perfect place to do so. The advantage of going for long walks in unfamiliar neighborhoods is that you get a better understanding of the people on the ground and how they actually live life. Lesson 1: That happened because I “took advantage” of the opportunity. But in order to do so, you have to face your fears, break the barriers and have a plan. Any intelligent person will feel scared about getting lost, not knowing the area or getting into an accident or incident. The same goes for business, relationships, or life. Lesson 2: You simply have to believe that the benefits far outweigh the risks, you get a map or good advise and you plan out a route or your goal in life. Just remember that often “Your direction will ultimately determine your destination”. Many people keep saying they want to do this or get there or arrive at a certain destination. Yet many times because they did not follow a plan, a map and did not ask for “right directions” along the way, they often got lost or arrived elsewhere in life. The other benefit of “adventure walks” is that you open up yourself to thoughts, reflections, and the “still, small voice” within you. During my long walks, it became crystal clear to me that I had lived too long inside an “aquarium” of 85 million Filipinos and as a consequence we live by and are “contained” or restricted by the environment and the system of that aquarium. I guess the best way to understand this realization would be to watch the animated movie “NEMO”. We mark boundaries in our lives based on our social status, economic achievements, educational background, religious beliefs, or physical abilities.Animals mark boundaries based on the territory they can cover and protect or gives them protection. Others determine territory or boundary based on the available food supply/income or on their position in the pack or in society. Half of the time “Who” we are and “what” we are, are also determined or marked by others. Are you known because of your title or what you do for a living? How about you? How do “YOU” determine or mark what is supposed to be your territory or your boundary? Lesson 3: As you go more often on your adventure walks, you slowly realize that you have expanded your territory as well as your mindset. Adventure often creates confidence, a willingness to consider new things and do new things and make new links. As I reflected on the idea of a “willingness to consider new things and do new things, I was reminded of a woman I met early in the year and the “parable of the perfume jar” she shared with me and my wife. 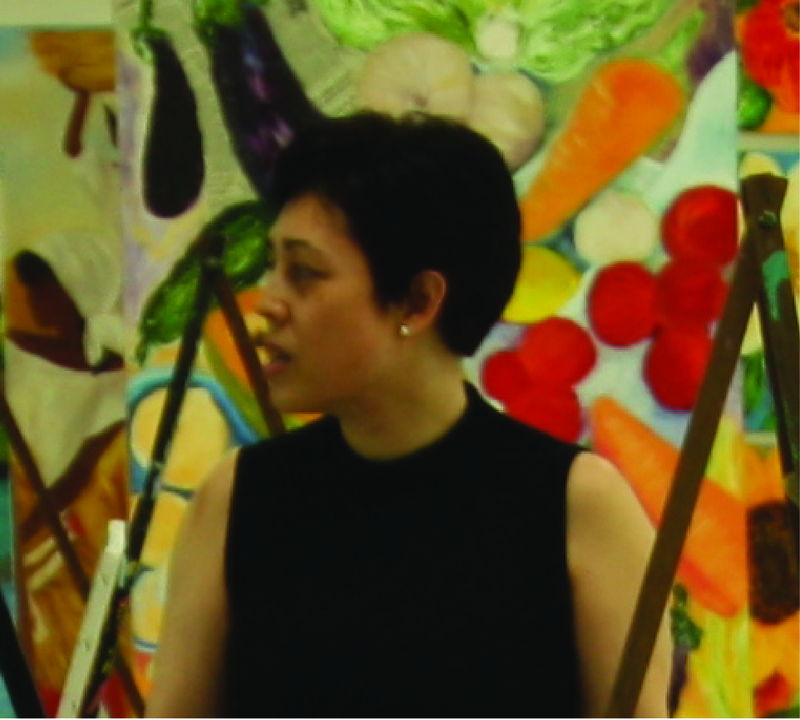 Angela De Ocampo-Bognar is a gifted artist, teacher and entrepreneur who built up the “Art Camp Bezalel” (along Hemady street-QC) where children and adults find a home and a school that teaches people how to draw, paint, as well as get hard to find supplies. In comparison with many such schools, the Art Camp Bezalel is very specialized and spacious. But it was not so a few years back. Her shop used to be in 4X 4- meter stall at the Broadway Centrum. She then expanded it to double the area with some considerable expense and planned on staying there for sometime. Unfortunately, business in the area slowly declined and Angela found herself praying for guidance. Angela felt God telling her to close the shop, which she found difficult to understand since she spent so much expanding it and had not even recovered her investment. The answer came in what she calls the parable of the perfume jar. She came upon the story of the woman who poured the contents of a jar of perfume on the head and on the feet of Jesus Christ. The Jar of perfume as Judas Iscariot put it was worth two months wages and deemed a big waste. But Jesus rebuked Judas and pointed out how the woman’s sacrifice would bring her honor for all time. Angela then realized that the Jar of perfume may have been very expensive but only until the woman broke the jar open did it really have any real value. By breaking the jar open, everyone around could smell its fragrance, which was its intrinsic value. By pouring out the perfume on the head and the feet of Jesus, the woman had the privilege of anointing the Son of God before his death. Sometimes we have to break open; sometimes we have to close down. Commercial values are man made but the value of obedience is far greater and longer lasting. Angela chose to obey and give up “several months or years wages” by closing down the shop. Like her Biblical heroes, Angela had her desert moments as she found herself starting all over from at her shop and with very few students. Then calls came, offers made one after another. Angel took her adventure walk with God and she crossed the desert into her promised land. Get out of the “Aquarium” or break open the Jar. At the very least take an adventure walk for the next 30 days and see where God takes you. Treasures From Heaven, compiled and edited by Angela Bognar. Available at Art Camp Bezalel Store.